Best Use: Deer, Upland Bird, and Small Animals. Gravity Feed System. No Float-valves required. 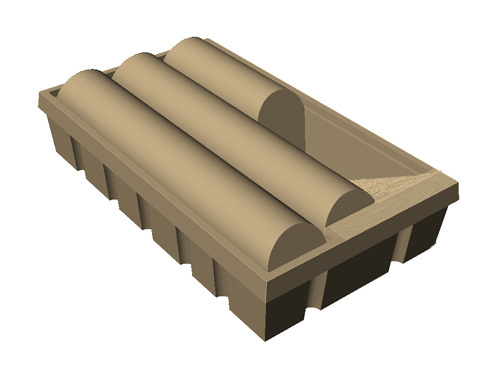 Low profile design for simple above-ground installation. Dimensions 80" x 46" x 16"
The Low-Pro guzzler provides a 210 gallon, above-ground water source for animals at a 16" height. It's perfect for placing in a clearing or field where you prefer not to excavate for a in-ground guzzler installation. The drinking area for animals measures 15" x 32 and is 15" deep. Deer and medium-size animals can easily drink over the edge. Smaller animals can use the built-in access ramp to access water. 83% of the tank remains covered to minimize evaporation and keep the water clean. Three integrated domes collect and channel rainwater into the 210-gallon reservoir below. 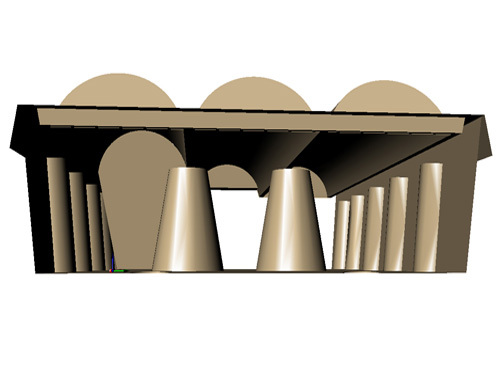 The three dome lid is supported from beneath by two columns to ensure structural redgidity. 4 bolts lock lid into place. The 25.5 sq ft surface area will collect rain at a rate 18.75 gallons per one inch of rain. You can easily add a collection roof to increase rainwater collection. You always have the option to hand fill. This gravity-feed system is very durable, can withstand freezing and requires no-float valves. Fits conveniently in the bed of a standard pickup. 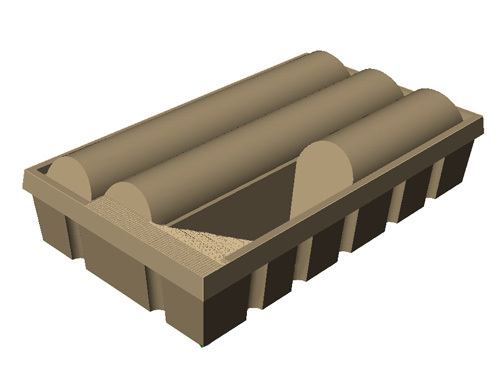 Multiple units nest together to reduce shipping cost. Includes a 1" drain fitting. Suitable for deer, upland bird, small animal. 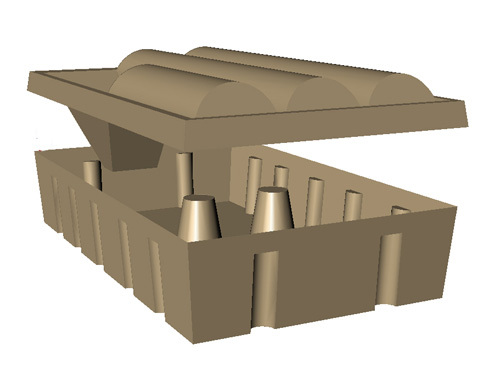 Internal columns for extra lid strenght.